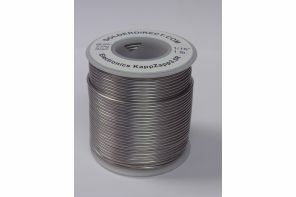 KappZapp3.5R™ Tin-Silver rosin-core solder is a convenient NSF Certified Lead-Free one-step solder that produces strong and ductile joints for all electrical/electronic Copper and Stainless Steel applications. 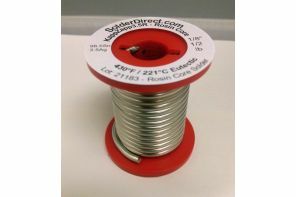 The center of the solder contains a natural rosin flux which is released when the solder is heated, eliminating the need for additional flux. 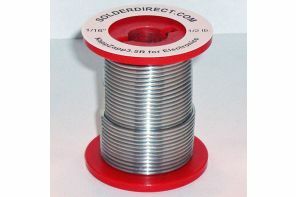 Flux residue is easily removed with rag wet with warm water or alcohol, or by flushing with warm water. 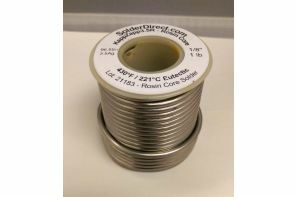 The resulting joints have high tolerance to vibration and stress, with tensile strengths to 14,000 psi on Copper and 25,000 psi on Stainless Steel. 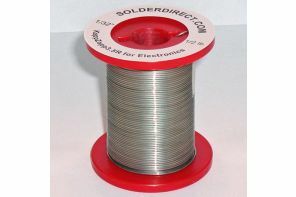 For most alloys and projects, no additional flux is required when working with KappZapp3.5R™ rosin-cored solder. 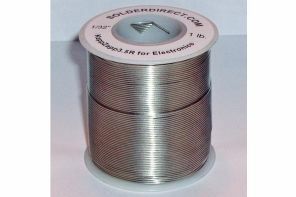 Some highly polished Stainless Steel alloys contain more Chromium and Nickel. 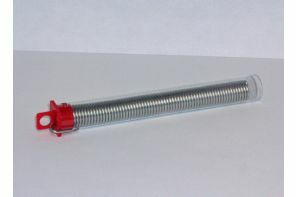 These parts may require extra effort to remove the oxide layer by sanding, scratching with a Stainless Steel brush or emory paper, and by the addition of liquid Comet™ Flux.